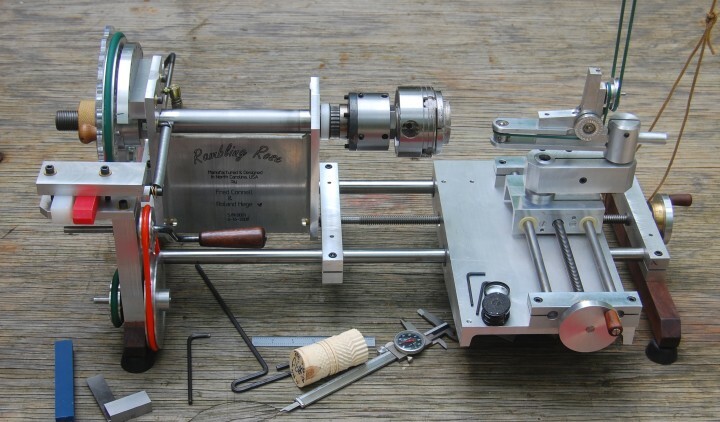 The Rambling Rose Engine utilizes two hardened and ground round ways as both the structural frame and X-Z Compound ways, greatly reducing the weight of the overall machine. If mobility and compactness were not as much of a concern, the main ways and Z-axis compound lead screw could easily be longer and larger diameter. The RRE has walnut legs with independently adjustable rubber feet.